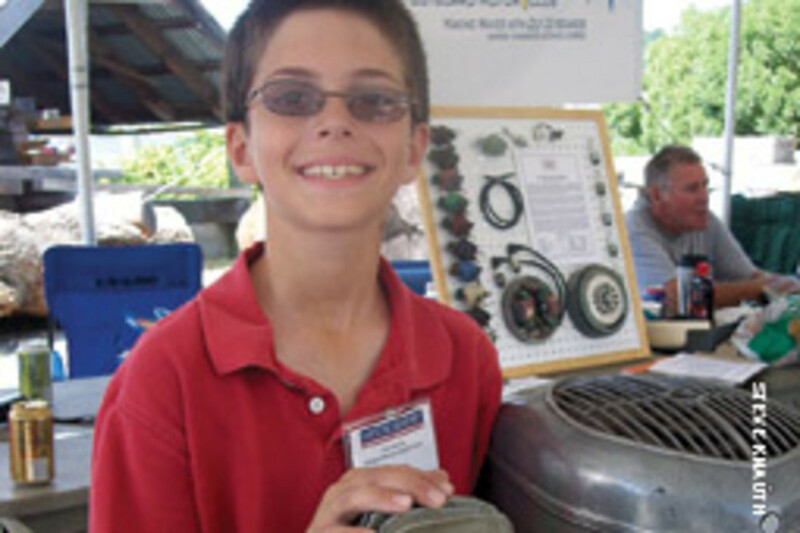 The 10-year-old was standing in front of a box of oily, smelly old engine parts set up on a table. Lying on top of the pile were a few scattered remnants from a 1951 Lauson twin-cylinder 6-hp outboard — parts the elder Sesselberg had been trying to get his hands on for a decade. Sesselberg and his son, Harry, 10, a student at Osborn Hill School in Fairfield, make quite a team. 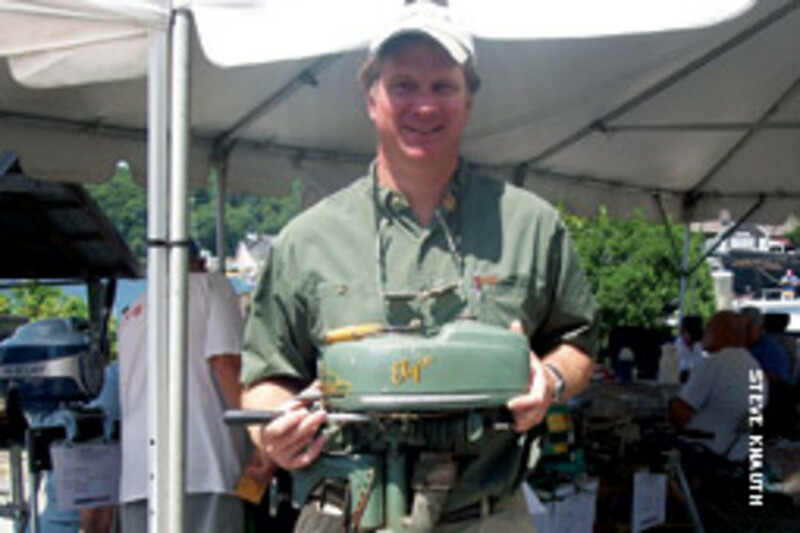 When it comes to hunting down old outboards and their often hard-to-find parts — and then getting the vintage machines together again — there are few better. 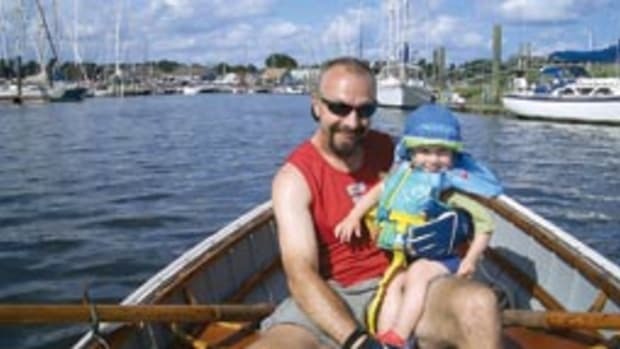 The elder Sesselberg, president of the Yankee Chapter of the Antique Outboard Motor Club is a collector and fixer-upper who started at age 9. Harry got into it even earlier. 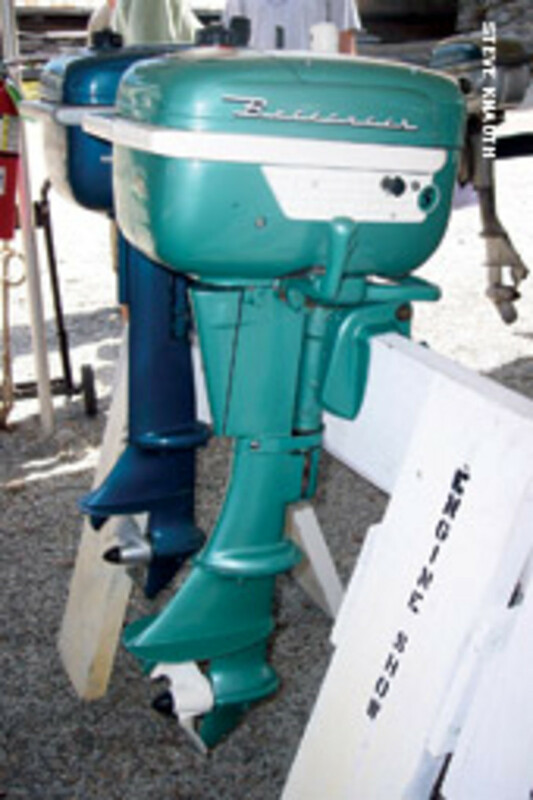 His first outboard was a 1958 Elgin 2-hp, handed down from Grandpa. 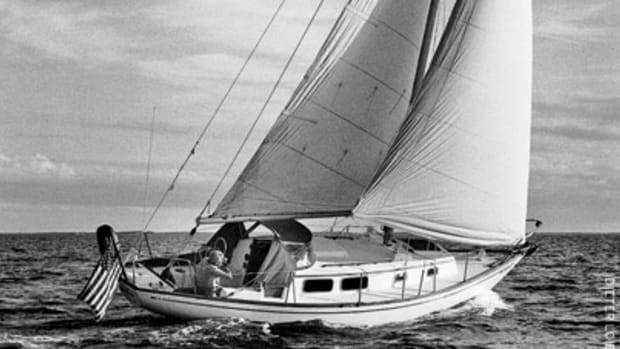 “My grandmother gave it to me [as payment] for putting up her storm windows,” he recalls. With the help of a local garage mechanic, Sesselberg got the machine running, and word of his mechanical talents soon got out. To this day, people see something at the dump or by the side of the road and it will just turn up at Sesselberg’s house. “It’s a cheap way to keep me entertained: find something broken and give it to me,” says Sesselberg. 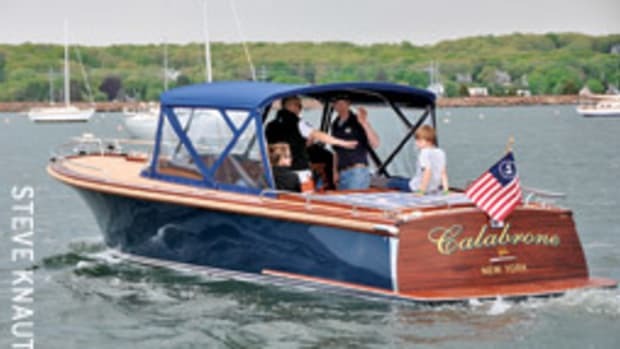 Harry got his first outboard when he was 3, a 10-hp 1959 Mercury Mark A, a birthday gift from a local outboard dealer. At age 6, he’d won his first award with the same engine. 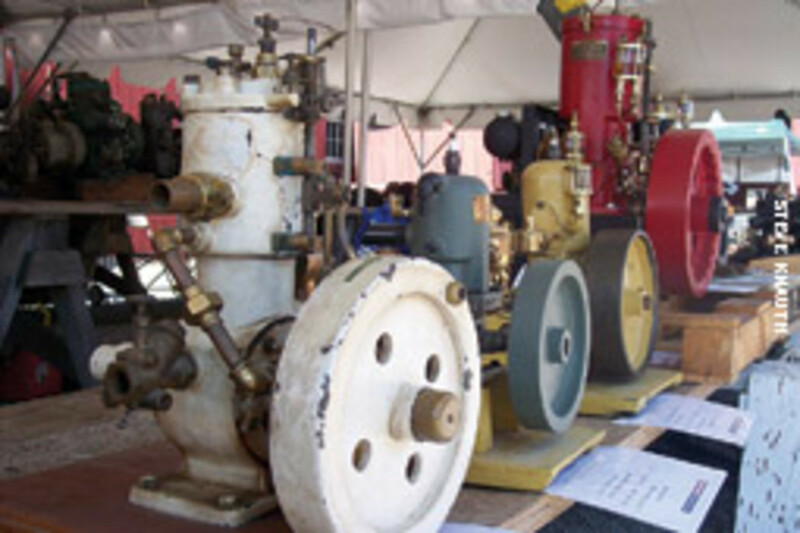 The two enthusiasts often work together in their home shop, sometimes on the same engine, often on independent projects. And it’s more than just a mechanical exercise; you can learn from the old engines.